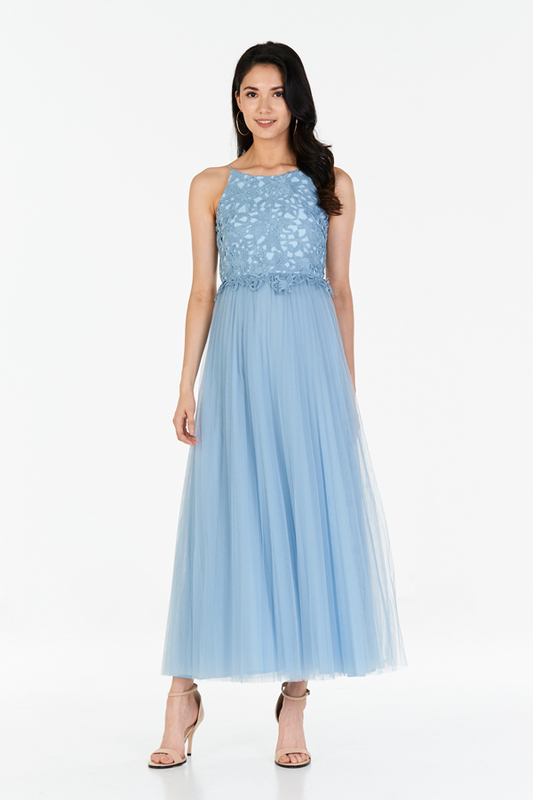 Made of layers of elegantly draped powder blue sheer tulle. Features an intricate crochet overlay and waist trimmings, along with a smooth polyester inner lining. Complete with a back zip closure. 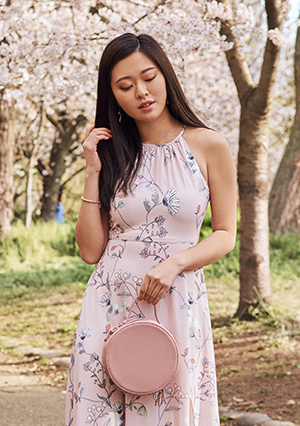 Worn in a maxi fit, dream-like and enchanting. Non sheer.